Few players have had as much impact on the country's cricketing culture as this man has had. A true legend and one who is no less than Sachin Tendulkar when it comes to fan following. MS Dhoni has been India's most successful captain and a leader who has inspired many. If you dwell into his career and captaincy tenure, you would be aware that Dhoni has done or had it done whatever he wanted. Since the start of his captaincy, Dhoni backed his decisions regardless of the consequences. Dhoni has led on his conditions. He asked to drop Rahul Dravid and Sourav Ganguly in the CB Tri-Series in 2008. Four years down the line, once again in the CB Tri-Series, he adopted the rotation policy by playing only two out of Virender Sehwag, Tendulkar, and Gautam Gambhir. Who would have thought that greatest batsman of all times would be dropped, but that's Dhoni for you, unmoved by what others thought and said. There have been numerous other occasions when Dhoni had his wish fulfilled and got the team he wanted. Dhoni's captaincy stint started by winning the inaugural ICC World T20. Under his leadership, India became the No. 1 test side and lifted the ICC World Cup after 28 years. 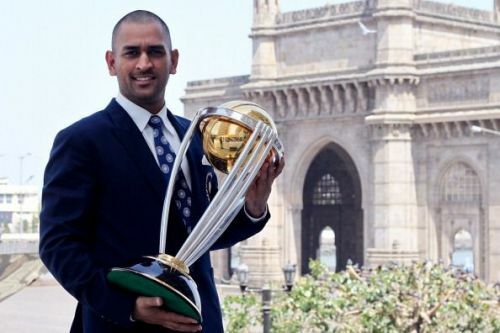 After winning the 2011 World Cup, Dhoni was hailed as the greatest Indian captain. He then continued to weave his magic in the ODI circuit by leading India to the Champions Trophy win in 2013, thus becoming the first captain to lay hands on the three ICC trophies. But things didn't pan out the same in Test matches. India struggled to win Test matches overseas. The pressure kept piling on him but he refused to step down from captaincy despite the results not going India's way. Then, Adelaide 2014 happened and he was assured that his successor was ready. Out of nowhere, comes news of MSD's retirement. Such has been the case throughout his career. He has always kea pt distance from the spotlight. But it also reflected a fact that maybe Dhoni will find it hard to play under another captain having led for so long and that too on his conditions. It was probably thought that Dhoni will retire as captain in limited overs as well. But then nobody had thought that Joginder Sharma would bowl the last over in the World T20 final, ahead of the experienced Harbhajan Singh. Things can't be predictable with Captain Cool. In the first week of 2017, the keeper-batsman handed over his baton to Virat Kohli, giving him two years to learn the art before the World Cup 2019. It also marked a new journey in Dhoni's career. He has been a mentor in the team since then, passing of his knowledge to youngsters. Even though Kohli is captain, Dhoni is still the boss. Kohli has been seen chatting with Dhoni on numerous occasions and the latter setting field is not a rare scene. One noticeable thing after Kohli becoming captain and especially in the last year or so has been the way Dhoni has enjoyed the game. 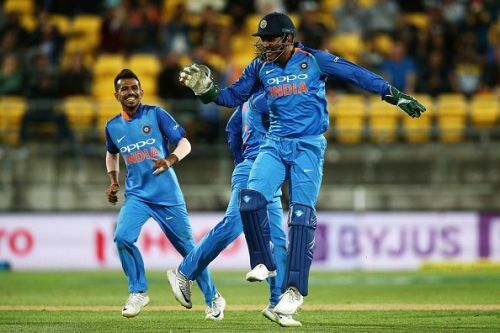 How often did you see Dhoni jumping and expressing his emotion? Even after finishing off a tense run-chase, he would calmly take the stump out and then take the back seat. Thus, this has been a refreshing change. One can easily see Dhoni planning the wickets with bowlers and celebrating after every wicket, despite his batting woes last year. Dhoni understands that this is undoubtedly the last leg of his illustrious career. After the burden of captaincy has been removed from his shoulders, he is enjoying whatever comes his way. To be very fair, he deserves every bit of it. Credit must also be given to Kohli who values and backs him so much. Dhoni had his issues with the bat in 2018 but started 2019 with a bang against the Aussies. His is invaluable to the side, not only in terms of batting or keeping but also with the experience he brings to the table. His form with the bat will be crucial to India's chances in the ICC World Cup. It's certain that this will be MSD's last World Cup. He would like to win the prestigious trophy once again. And who knows if India lift the World Cup, Dhoni might throw in another surprise and bid adieu to his cricketing career.